Every law firm should have a reliable backup system. If you’re unsure, please stop reading this article right now and call your I.T. team first and foremost. Find out how your backup works, confirm it is working, confirm it’s been tested recently and confirm *what* is included in your nightly backup. Now, assuming you are able to confirm that you have a backup system in place, it’s reliable, it’s regularly tested and it’s frequently reviewed to ensure the right content is being backed up, then please keep reading. For Worldox customers, one absolutely critical component of a reliable and thorough backup is to ensure that your backup of Worldox document repository (i.e. where your documents are stored…often it is a folder named “WDOX”) includes hidden files and hidden folders. Experiencing a server failure of some sort then having to do a restore data, only to find out you are missing all of your hidden files, is quite problematic for Worldox users. Many don’t realize that Worldox adds and maintains several files in each document folder, known as “XNAME” files. These files are, by default, hidden. If you browse to any folder in your Worldox repository, you likely won’t see them there, because they’re hidden. But more importantly, these files contain the meta-data or document profile data for every document that lives in each folder. Accordingly, you must make sure that the sites hidden xname*. * files are being backed up, along with the hidden version folders containing previous versions of documents. Additionally, you should exclude from your nightly backup, your Worldox central profile and text databases as some backup systems can’t accommodate these “open” files and it could cause problems with Worldox’ normal operations. 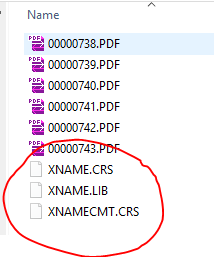 As long as you are capturing the aforementioned “XNAME” files (again found in each document folder), then excluding the central profile and text databases doesn’t pose a problem as the XNAME files can recreate and fully rebuild the central profile and text databases for you. Bottom line – please be sure you adhere to the advice herein to ensure that if and when a back up needs to be restored, you will not lose critical Worldox database information. If you'd like assistance with backing up Worldox or any other feature in Worldox, just let us know. You can always reach us at info@affinityconsulting.com or request a consultation. Steve is a Partner with Affinity and a member of both the Florida and Georgia bars. 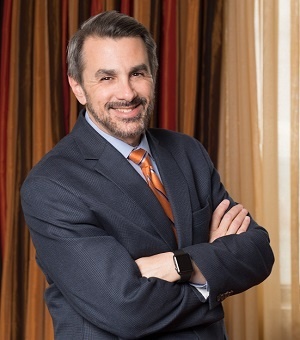 Steve leverages his passion for technology, along with his knowledge in the practice of law to help his clients make their firms and departments more productive. Steve specifically focuses on the areas of document management and time, billing and accounting.